Product categories of Stone Crushing Plant, we are specialized manufacturers from China, Stone Crushing Plant, Gold Ore Crushing Plant suppliers/factory, wholesale high-quality products of Granite Stone Crusher Plant R & D and manufacturing, we have the perfect after-sales service and technical support. Look forward to your cooperation! 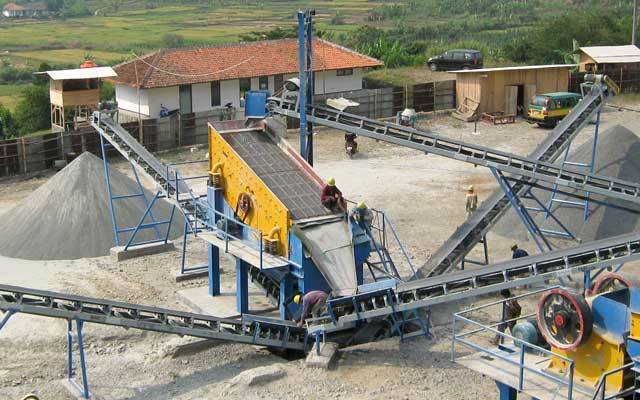 Zoneding Machine is capable of supplying complete Stone Crushing Line with capacity 30-500t/h. The Stone Crushing Plant is widely used to crush and screen limestone, marble, granite, basalt, river gravel and other hard stone materials, and produce sand & gravels with various granularity for construction and building industry. The stone crushing plant mainly consists of Vibrating Feeder, Jaw Crusher , Cone Crusher or Impact Crusher, vibrating screen, Belt Conveyor, etc. According to the clients' demands, Vsi Crusher is expected to work together for making sand as final products. The features of stone crushing palnt: high efficiency, low cost, low energy consumption, high quality products, etc. Zoneding Machine is professional manufacturer of stone Crushing Equipment with a long-term supply of crushers, vibrating screens, washing equpments, etc. We persists in providing highly customized solutions according to clients' requirements, including single machine, fixed or mobile workstations and complete production lines.